Apple Walnut Crumb Cake is incredibly moist and full of wonderful fall flavors. 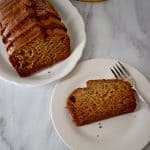 The combination of apples, walnuts, and ground cinnamon make this gluten free cake a must bake! Fall is a time when most people look forward to cooler temperatures, the leaves changing colors, and the upcoming holiday season. I start looking forward to the coming of spring. The days getting shorter and the nights getting longer can be a bit depressing. I’ve found that baking can add some brightness to an otherwise gloomy day. And what could be better to bake with during the fall than apples and walnuts? 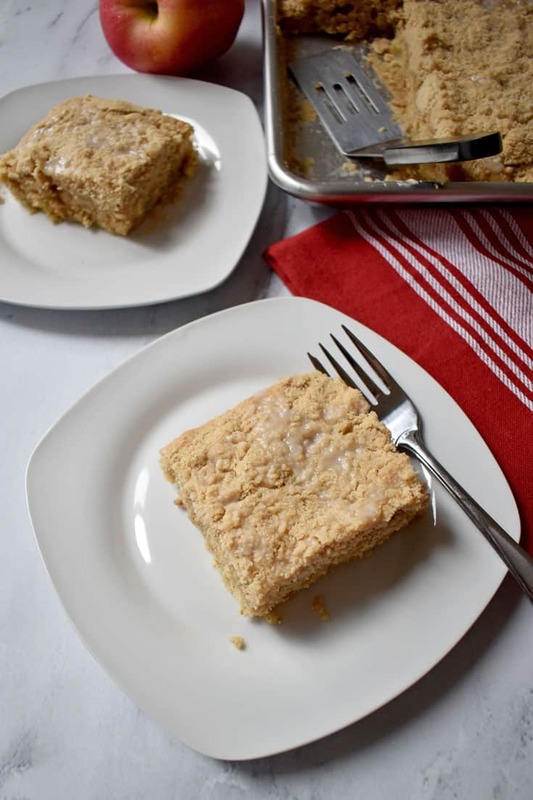 When I found this recipe for apple crumb cake on the blog, Bake or Break, I was inspired. 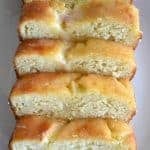 Although the recipe calls for several cups of all-purpose flour, it was easily modified with gluten free flour. DOES THE TYPE OF APPLE MATTER? In the Pacific Northwest we have an abundance of apple varieties so it can be difficult to choose which apple to use. You’ll want to select a good baking apple like Braeburn, Gala, or Golden Delicious. These varieties all have a firm texture and good apple flavor. While the Red Delicious and Fuji can be good choices for eating, they don’t work well for baking. 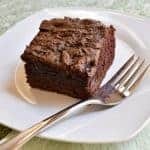 The Red Delicious become mushy and overly sweet, and the Fuji are too firm and don’t break down enough in the short 30 minutes needed to bake this cake. 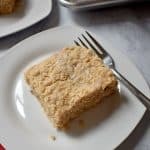 This crumb cake is not overly sweet, but if you prefer a hint of tartness, using Granny Smith apples is another option. 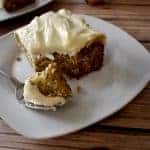 Granny Smith apples have the right texture for baking, and their tartness would work well in this recipe. 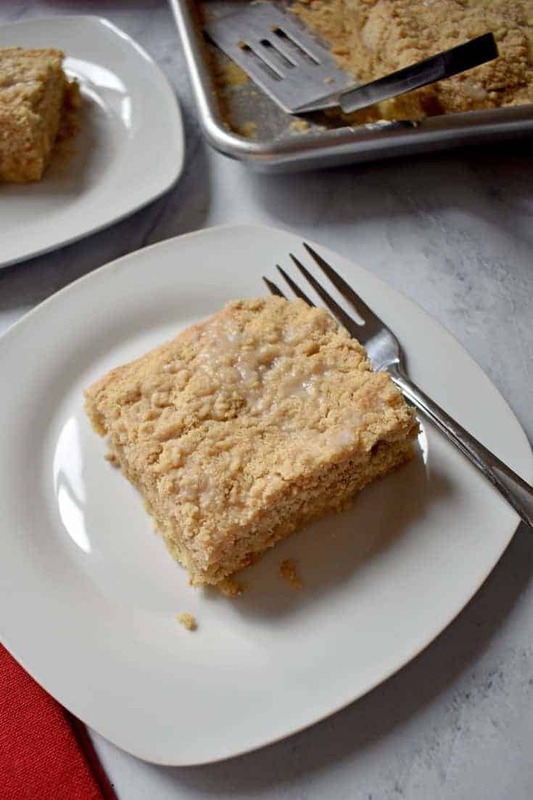 This recipe is easily broken down into three parts: Crumb topping, cake mixture, and glaze. 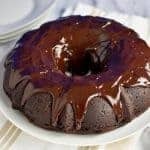 The glaze can be omitted if you like a less sweet cake. Whisk together the gluten free flour, brown sugar, cinnamon and salt. 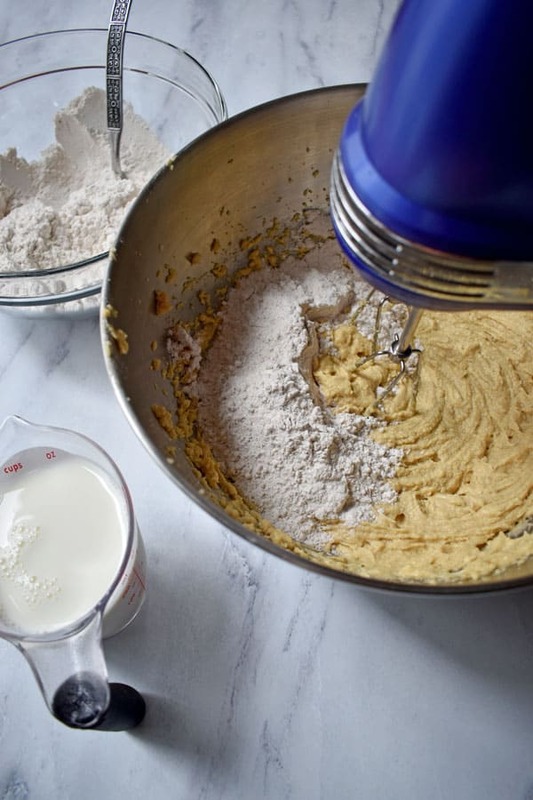 Add the butter and mix with a pastry blender until crumbs form. Keep topping chilled until ready to use. Preheat oven to 350 degrees and grease a half sheet pan. Stir together the gluten free flour, baking powder, cinnamon, and salt and set aside. Using an electric mixer, beat the butter and sugars together, then add the eggs and vanilla and mix until combined. Alternate adding the flour mixture and milk until all the flour and milk is incorporated. 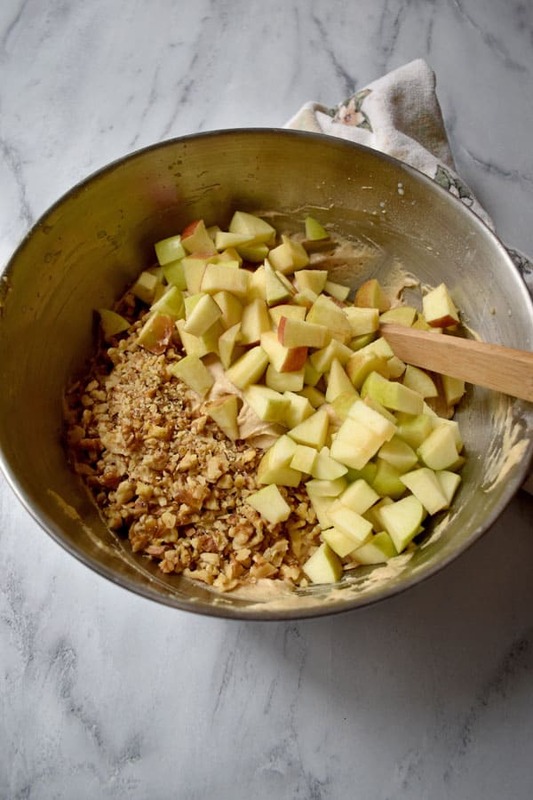 Stir in the apples and walnuts and transfer the mixture to the prepared pan. 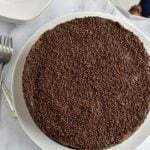 Sprinkle the crumb topping over the cake and bake for 30 minutes. Stir together the powdered sugar and milk. Add additional milk to get the desired consistency. 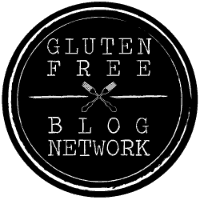 Check the ingredients in your gluten free flour mix. I used Bob’s Red Mill 1 to 1 Gluten Free Baking Flour, which contains xanthan gum, so I didn’t need to add any gum. If your mix doesn’t contain xanthan gum, try adding 1 teaspoon to the cake mixture ingredients. After assembling the ingredients for the crumb topping, place the mixture in the refrigerator to keep the butter chilled. Keeping the crumb topping cold will prevent it from melting into the cake while it’s baking. This apple walnut cake is somewhat sweet. If you prefer a hint of tartness, try using Granny Smith apples. Peeling the apples is optional. I didn’t remove the skins, but you can peel the apples if you prefer. 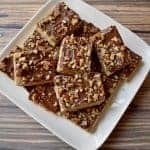 If you enjoy the flavors of apples and cinnamon, you’ll have to try this Apple Walnut Crumb Cake. I took it to work with me, and it disappeared quickly. It’s really great with coffee! 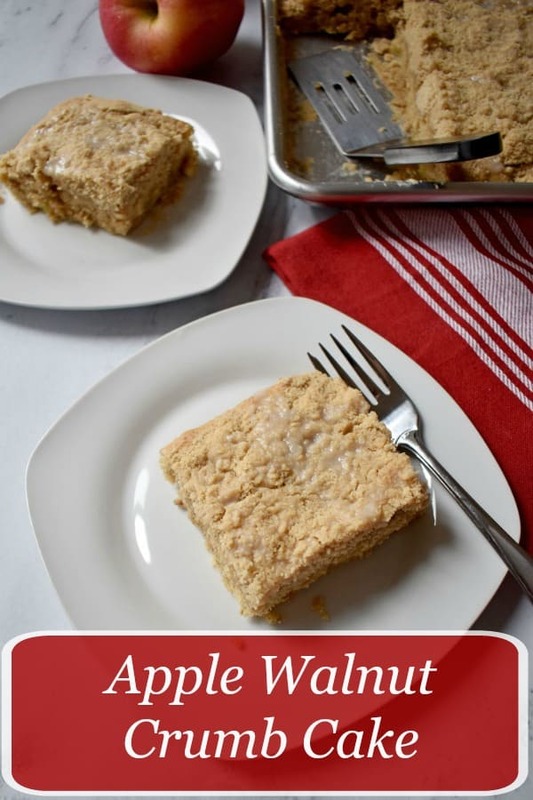 Apple Walnut Crumb Cake is incredibly moist and full of wonderful fall flavors. In a medium bowl, whisk together the gluten free flour, brown sugar, cinnamon, and salt. 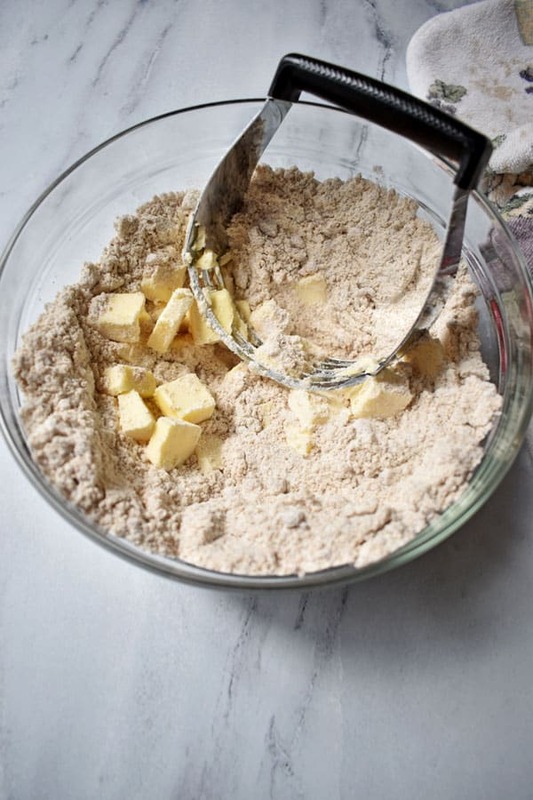 Add the butter and mix with a pastry blender until the mixture forms crumbs. Refrigerate the crumb topping until you've prepared the cake mixture. Preheat oven to 350 degrees. Grease a half sheet pan. In a medium bowl, stir together the gluten free flour, baking powder, cinnamon, and salt. Set aside. 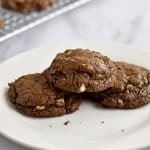 With an electric mixer on medium speed, beat the butter and sugars together until light and fluffy. Add the eggs, two at a time, and continue to beat until thoroughly combined. Mix in the vanilla. Turn the mixer speed down to low. Add 1/3 of the flour mixture and mix until combined. Add 1/2 of the milk and mix until combined. Alternate adding 1/3 flour mixture, 1/2 milk, 1/3 flour mixture, and mix until just combined. Stir in the apple cubes and chopped walnuts. Transfer the cake mixture to the prepared pan. Spread the mixture evenly around the pan. Sprinkle the crumb topping over the top of the cake mixture. Bake for 30 minutes, or until cake is golden brown and a wooden pick inserted in the center comes out clean. In a small bowl, stir together the powdered sugar and 2 tablespoons of milk until completely combined. Add additional milk, if needed, to get the desired consistency. Drizzle the glaze over the cooled cake. Serve and enjoy! Check the ingredients in your gluten free flour mix. I used Bob's Red Mill 1 to 1 Gluten Free Baking Flour, which contains xanthan gum, so I didn't need to add any gum. If your mix doesn't contain xanthan gum, try adding 1 teaspoon to the cake mixture ingredients. After assembling the ingredients for the crumb topping, place the mixture in the refrigerator to keep the butter chilled. Keeping the crumb topping cold will prevent it from melting into the cake while it's baking. Use a good baking apple like Braeburn, Gala, or Golden Delicious. This apple walnut cake is somewhat sweet. If you prefer a hint of tartness, try using Granny Smith apples. Peeling the apples is optional. I didn't remove the skins, but you can peel the apples if you prefer. 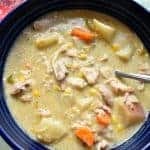 Wow, anyone who shy’s away from a recipe that says gluten free need not shy away from this one. Fantastic taste and texture. Yummy!!!!!!!!!!!! !